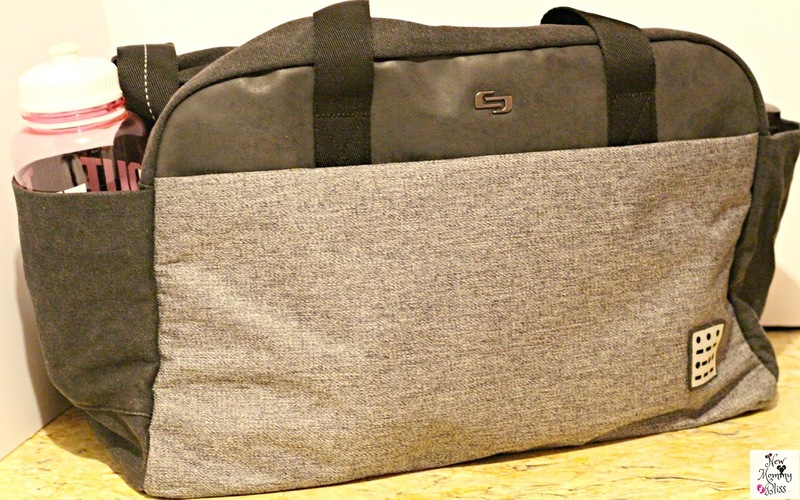 3 Perfect Bags for the Laptop-Carrying Students: SOLO from eBags ! Disclosure: We received product in exchange for our completely honest review. Oh the college days. I can not wait to step foot back on campus. I had plans to start my journey over this fall, but life had other plans and I'm destined to make it some how. When I did attend for two years, my fascination was with bags. I don't mean plastic bags, I mean the different colors and styles of what many deem "The College Bags". 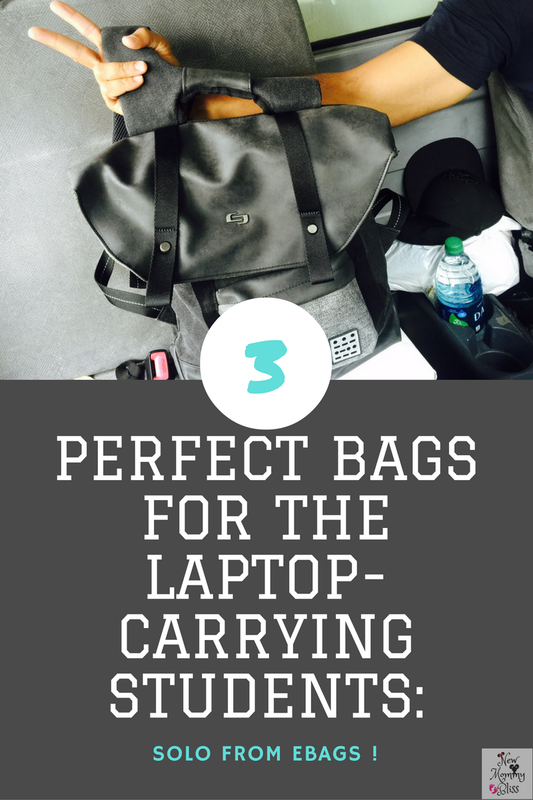 This is why I bring to you 3 amazing SOLO bags (from eBags) that I believe are PERFECT for those students who lug around their laptops all day. I'd like to add that MANY of the SOLO brand Laptop bags are on sale! Who doesn't love a sale? Any-who, Let me tell you about the perfect Backpack for those who want to be hands free and comfortable. It's called the Urban Code 15.6 inch Backpack! This backpack is fully padded to not only keep you comfortable, but to also protect your (up to 15.6") Laptop protected within its specially designed compartment. 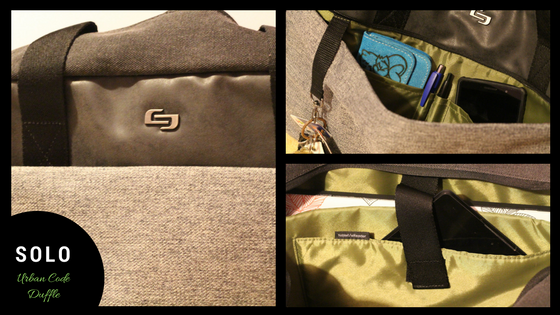 Within the same bag is also a tablet compartment for those super techie kids that work on multiple devices. They'll also keep everything neat with the bag's interior organizer section and zippered pockets. The overall urban grey design of this bag is enough to make any head turn, which is why it's actually the only bag on my list that's completely sold out! A similar bag to this one is this one with the same name (SOLO Urban Code 15.6") or the SOLO Nomad 15.6". For my athletes comes the SOLO Urban Code 15.6" Duffle. Just like the previous bag, this one contains a Padded compartment to protect laptops up to 15.6", a dedicated interior pocket for iPad® or tablet, a large capacity main compartment, front zippered pocket, a carry handle and removable/adjustable shoulder strap, as well as a rear Ride Along® strap for consolidated travel. I call this the perfect athlete bag because it provides so much room for their everyday essentials. * Laptop and Tablet in 2nd pocket. I'm certain that your athlete, dancer, or workout junkie automatically love this bag! The 3rd bag is the SOLO Classic 15.6" Laptop Tote. 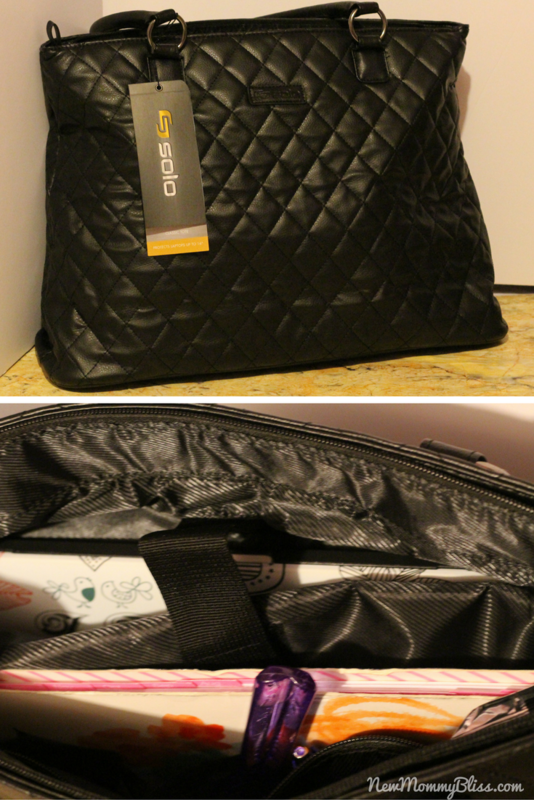 It's a gorgeous, black vinyl bag with a quilted-like design. Like the others, it has a padded laptop pocket. What it doesn't have is the added Tablet pocket which is fine considering the size is very different from the others. This is the perfect bag for the classic lady. the ones who dress to go to school they same way they would for an office job. I like the metal feet on the bottom to help protect the bag. The removable strap is also very convenient for one to go from Tote to messenger. SOLO is guaranteed to work as hard as we do which is why each bag comes with a 5 year limited warranty. Overall, these bags are sturdy, strong, and seem to hold up to daily wear! Make sure you head over to eBags and get your student the bag they REALLY need. Which is your favorite bag from the eBag website? I love the tote since its so fashionable and black is so classic! Do you take your laptop with you every where you go? I usually just work from my phone on the go, but these bags look great. I love the black tote! It's so cute. Very versatile. Looks like a great bag! I never realized how many choices ebags had! Perfect timing! Although my school days are over I really need a good laptop bag. I love the urban code but the classic tote is the one to get my vote! These look really nice. I just got a new laptop and probably need a more stylish bag. The one I am using now is made for scrapbookers but it is padded for the computer. I love that about it. Thanks for the great ideas. I carry my laptop around for work. I'm in love with the black quilted bag. I like the backpack. When I was in college, I like to have everything on my back, out of the way. It's easier for me than having something that could slip off my shoulder or hang at my side. I love the duffle. Perfect for traveling to the gym! I love your bag choices! My favorite is the classic tote, it's just so classy! These bags would be a great gift too. My sister carries her laptop everywhere for work so she would love these. These look like great bags! I haven't had a laptop bag in quite a while. I probably should look into a new one! I like the fact that there are three different styles to choose from, perfect for kids who would like to look stylish while they carry their laptops with them! The backpack and the tote are my favorites, I'm sure my daughter will love them! I'm in the market for a new workbag so I'll definitely check these out! So many great options on that site! I would've loved to have used that first bag when I was in college. I love being prepared and hated to carry a backpack and a purse with me. I really like the 3rd one! I am an elderly college student...lol. Finding that perfect laptop bag is gold! I never heard of this brand but love all of the bags shown here! I am always looking for a good bag to carry my MAC BOOK in! These are really nice bags! I like the black one in this post and I looked at the ebags site and I love the Nino Bossi Carnation Bud Backpack! It is in a delicate blue color!